Hey! Need images for your website? Look below for a few sites where you can download images for free. Be sure to review all licenses before downloading images! FAQ - Learn about image licensing, not everything is free! What are the different types of stock images? Stock images break down into two main types, royalty-free and rights-managed. For royalty-free images, you get nearly unlimited use. You can use the image in virtually any application, for as long as you like, in as many different projects as you like, as long as you comply with the terms of the license agreement. The image is available to use from when you purchase a license. Following payment of the license fee, no additional royalty payments are owed. With rights-managed images, your right to use the image is typically restricted, with limitations placed on things such as duration of use, geographic region, industry, etc., as established by your license agreement. If a third-party designer, employee, contractor or intern designed and developed your company’s website, you are responsible for ensuring they have licensed the images for your use. If no valid licenses exist the liability of any infringement may fall on the company (the end client) who used the image. I’m just a blogger and my site is non-commercial. Can I use images for free? In most cases, no. Unless your use is specifically permitted by copyright law, all the images on your website must be properly licensed, regardless of the nature of your site. You can, however, license very inexpensive images from many imagery providers that are perfect for web use and will be properly licensed. Personal use may be commonly defined as use that is not for commercial gain. Examples of personal use (or non-commercial use) might include social newsletters or wedding announcements. Commercial use may be commonly defined as use that is intended for commercial, promotional, endorsement, advertising or merchandising purposes. Examples of commercial use could include a branded company website, brochure, advert, presentation or product. Can I use royalty-free images for free? No. Royalty-free means that once a license fee is paid, the images may be used many times without paying additional fees, but the initial license is necessary to protect yourself and your clients. When you license a royalty-free image, you can use it in nearly any application, for as long as you like, according to your license agreement (although some kinds of uses do require an extended license). The cost is often based on file size, the number of permitted users as well as other factors. I’m using an image I found through a Google Image search. If it’s on the internet, doesn’t that mean it’s free? No. Just because an image is on the internet, it doesn’t mean the image is free to use. You may still need the correct license to use it. There is a difference between an image being online and an image being “in the public domain” (the term given to content that is not owned or controlled by anyone). How can I be sure I’ve taken the appropriate steps in licensing an image? There are various places that you can go for information; hopefully this website will give you a basic understanding of the potential risks you need to bear in mind. You should consult with your legal counsel if you have specific questions. Please also see our resources section for more information and also take a look at our ‘what you need to do’ section. Creative Commons is a non-profit organization that has released several copyright-licenses known as Creative Commons licenses. These licenses allow creators of content (which includes imagery) to communicate which rights they reserve, and which rights they waive for the benefit of recipients or other creators. Restrictions include whether an image can be used for personal or commercial purposes, and whether or not the photographer requires attribution or credit. 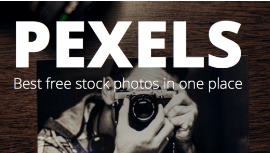 It’s hard to understand complex licenses that is why all photos on Pexels are licensed under the Creative Commons Zero (CC0) license. This means the pictures are completely free to be used for any legal purpose. Hundreds of high resolution images added weekly. Free from copyright restrictions. All images are released free of copyrights under Creative Commons CC0. You may download, modify, distribute, and use them royalty free for anything you like, even in commercial applications. Attribution is not required. 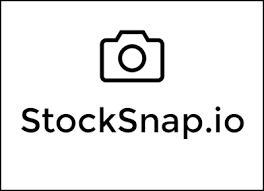 Free stock photos – feel free to use them both in personal and commercial projects.